OK, it’s time to gear up for my first “election” (but it’s not really an election)! 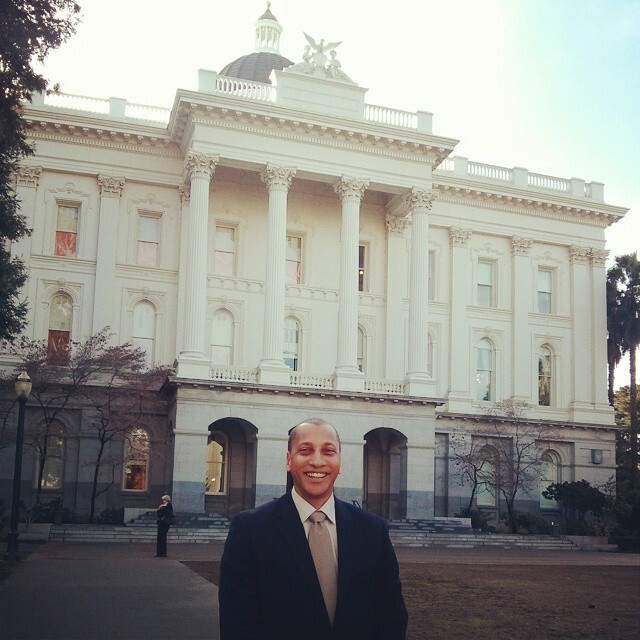 For clarity, I am not running for an office, but I am running to represent the 15th Assembly District as a delegate to the California Democratic State Convention. A delegate attends the annual convention, networks with other Democrats, represents the district, elects party officers, promotes the California Democratic Party agenda, endorses candidates for statewide, legislative and congressional office, and votes to endorse resolutions and ballot measures. For more information, please visit http://www.cadem.org/page?id=0080. I have an extensive background as a litigation, diversity, and social media marketing consultant who resides in Assembly District 15. I have worked in multifaceted capacities in some of the most prolific international law firms in the country, such as Morrison & Foerster, Paul Hastings, Heller Ehrman, and Holland & Knight. My social networking prowess and capabilities have been featured on LinkedIn’s Hall of Fame, Yahoo’s Blog, in the Examiner,CNN Money, MarketWatch and the Wall Street Journal. I have worked to help elect Democrats on local, state, and federal elections as a campaign manager, field organizer, fundraiser, and social media strategist. I am curently the Executive Director of the African American Wellness Project in Oakland. Last year, I attended the California Democratic Convention and am prepared to take on more responsibility as an elected delegate. My passion and desire to improve our community will be reflected in my representation of your voice for our State. 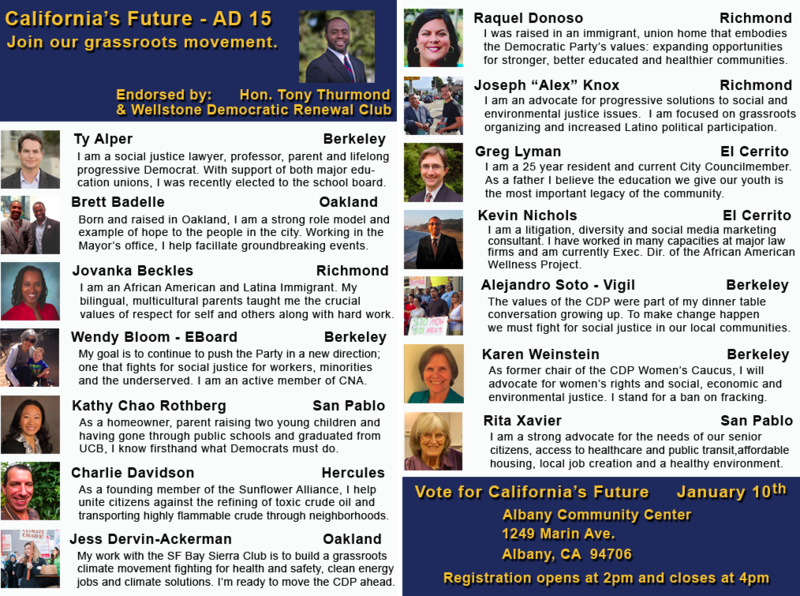 California’s Future Endorsed by Tony Thurmond! If you live within the district, which includes all or part of Hercules, Pinole, Richmond, El Cerrito, Albany, Kensington, Berkeley, Emeryville, and Oakland (please check http://www.aroundthecapitol.com/districts/maps.html?district=AD15 to confirm), then you can vote. If not, you can volunteer and help get other registered Democrats to the polls that do live in the district there that day! For more information, please visit www.facebook.com/groups/AD15Delegates2014 and to join my team and vote on January 10th, please visit http://bit.ly/1wwvydb. Thank you in advance for your time and continued support!